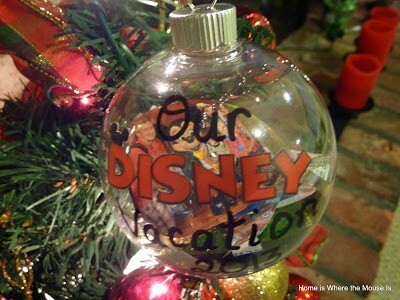 Keep the magic of your family’s Disney vacation alive by making these great keepsake ornaments. 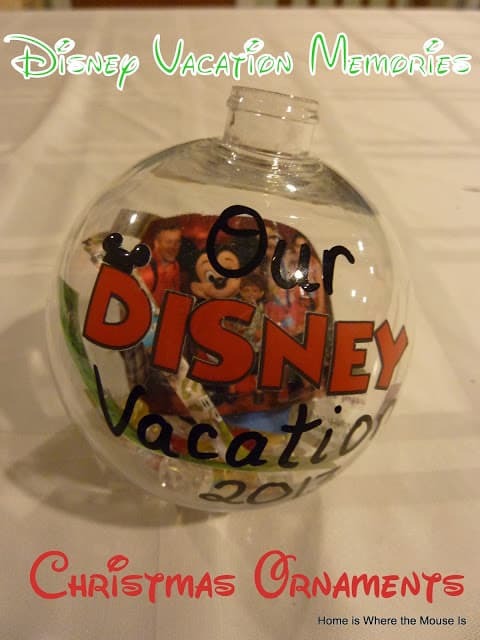 They are a fun and inexpensive way to preserve your vacation memories for years to come! 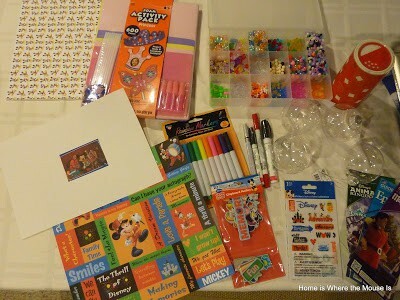 Souvenirs from your family’s vacation such as park maps, photos, confetti, autographs etc. Decorate the outside of the ornament first. 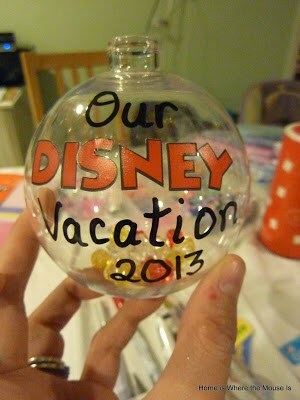 Then fill the ornament with your memories and embellishments. I used strips of park maps, beads, scrapbook paper and Mickey confetti (the kind from the end of the Move it, Shake it, Celebrate it parade). I also included a family picture. 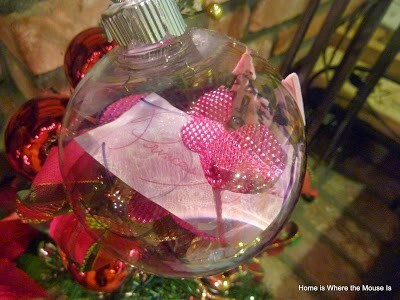 *A good tip for getting the picture in the ornament is to wrap it around a pencil then insert it into the ball. Use a cotton swab to flatten it out. 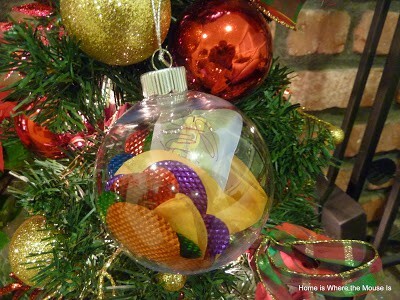 Finally, put the cap back on and hang it on your tree! The kids also got in on the action with this craft. It’s an easy craft for school aged kids to do independently.This is Bella’s ornament. She went with a Princess Aurora theme. 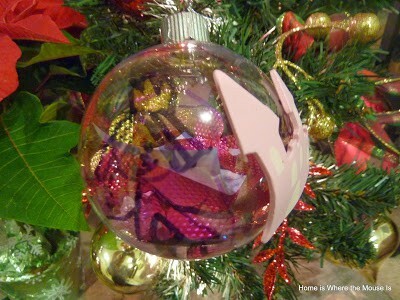 Tucked inside of her ornament is a scanned autograph from Princess Aurora. I shrunk it down to 50% so it could fit in the ball. 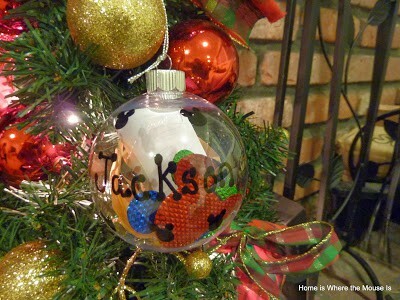 I helped Jackson with the outside of his ornament, but the inside was all him. He decided to put in beads, Mickey confetti and a few gold doubloons from Disney Jr. Live on Stage (his favorite attraction). He also has an autograph from Mickey Mouse! Thanks for letting us share this holiday craft with you! 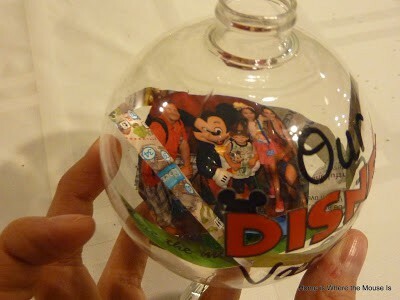 What souvenirs would you put inside your ornaments? LOVE your magical ornaments! Thanks so much for sharing! Pinned 😉 … Merry Christmas! !